Data growth across borders, with no prospect of ever slowing down, is a reality in the digital era. This was an undisputed point raised by ICT leaders at a recent CIO roundtable discussion on “the new imperatives for data management”. 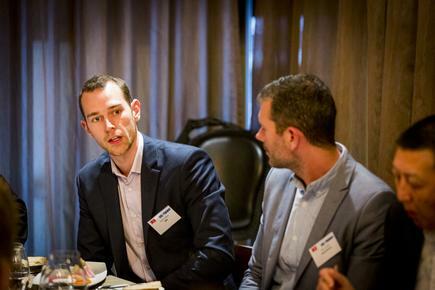 What followed at the meeting is a spirited discussion on ways organisations can harness this data to improve operations, gain competitive advantage and open up new revenue sources. They talk about the next frontier of big data growth - the machine learning and artificial intelligence tools that make all these possible. The discussion ends with the concern raised that with this enormous power of analytics insight, comes greater responsibility to ensure ethics are in place, and how CIOs and their teams play a role in ensuring professional behaviour with data use. 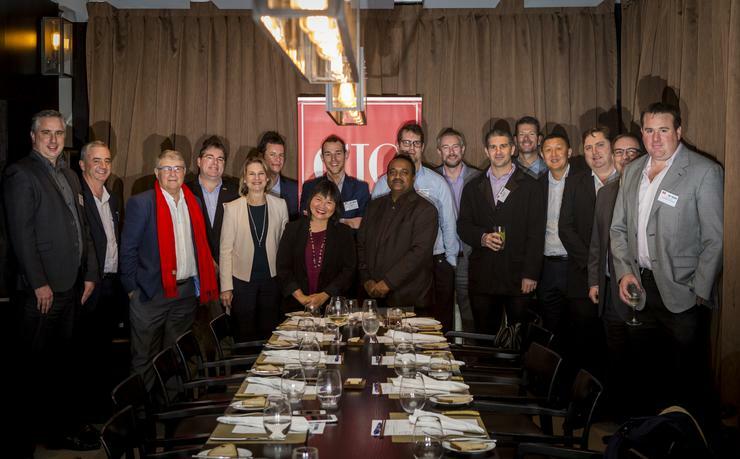 Are the ethics discussions keeping pace with the rate of data analytics commercialisation? 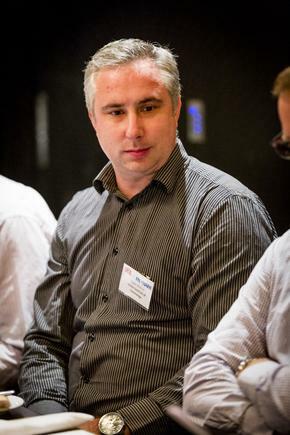 Matthew Cocker, Freightways: I have recently moved from IT services vendor (M2 Group and CallPlus) to IT Service customer (Freightways). [MC1] There is an awful lot of data generated by the Freightways brand - which includes NZ Couriers, Post Haste and Sub60. We are for looking for business opportunities in the data that we collect. Claudia Vidal, Skills4Work, Vector and IITP: I have had experience working with different types of data - structured, unstructured, and organised by BI (business intelligence) solution. In one organisation, the business is regulated so there is a legal requirement to store the data for longer periods than the duration required by financial compliance. Instead of seven years, we have to prove it has been stored for 10 years and even 25 or more when it is related to an asset. The silver lining of the story, in regards to the structured data, is that the leadership and capability of BI (business intelligence) and BI reporting have come through IT. The business intelligence principal shows the capabilities of BI to the business units who adopt that capability and who also happen to be the owners of that data. Therefore, they are the ones that have to keep it clean and validated. There is an incentive to keep the data sound to get clean reporting. Do they always get to that? I recently read an article where a Gartner analyst was saying that the 80 to 20 rule applies to data, where 20 per cent is usable and the other 80 per cent could be like a utility or not usable. Of that 80 per cent, 30 per cent of data is redundant, outdated or trivial. The remaining 50 per cent has an indeterminate value and could even prove to be a waste. Only 20 per cent is mission critical! Cheap storage has been a double edged sword. Businesses never have time to organise and tidy up the data, so they keep on buying storage because it is easier. Some industries find it necessary to use and structure the data than others. I have seen analytics used for a range of business decisions. In a previous job I was in the retail environment and with the right data tools, you could have automated replenishment of stocks; or gain insights on what products are slow sellers, fast sellers, and the impact of discounting versus moving stock fast. 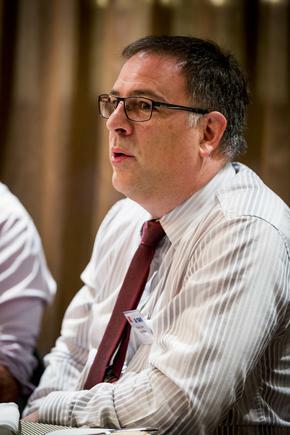 John Pye, University of Auckland: We work with different groups across the University. Those that store huge amounts of research data, plus those who look after student and organisational data, and we have different strategies for each of those. We have just appointed our first data scientist as we want to explore more. We have extreme use cases. Researchers may generate very large datasets (terabytes) through imaging, through to lesser requirements in the creative arts to documents created by administration staff. Often data generated during the research process is permanently stored and must be kept indefinitely. Depending on the funding source, or other considerations, data may have to be made available and in other instances restricted. Research is often collaborative with people outside the university and data may be shared internationally, which is another challenge. Owen Werner, Unitec: We have a similar experience [with the University of Auckland’s massive data produced during research]. What we find is the research is not contained within a single department, it is an international collaboration. An example of this is the cybersecurity research initiative with NICT in Japan. The information is shared across different geographical areas and people are sharing it across different platforms. Our challenge in our data sets are associated to compliance, policies, regulations and security issues, and how you access information, control, share and collaborate on it. Our move to digital platforms is around how people want to collaborate and be more productive, and the variety of platforms people have in that space to control the data and ownership associated with it. We have structured data components around real-time analytics, so people have the information at their fingertips. 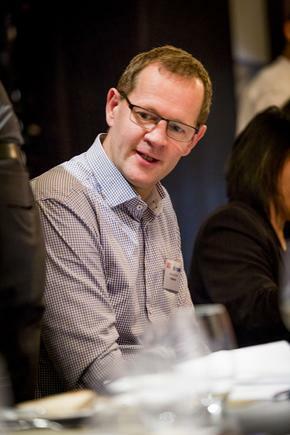 Grant Wardle, ‎Metlifecare: We manage retirement villages, so we have data in different areas. We have well developed data warehouses in different areas, while in some areas we are completely paper-based. We have a big challenge in moving all of that paper all into electronic form. Once we can create that data [into digital] we can do the analysis. 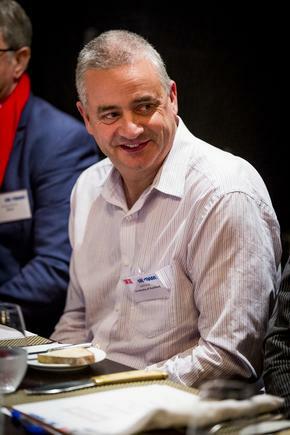 Angus Armstrong, Flight Centre: I have been with the company for about 15 years now, in the UK and New Zealand. There are two different [data] streams in Flight Centre - corporate and retail - and the data in each is treated very differently. Obviously in corporate there is a lot of reporting, and we have data scientists. We have quite a lot of information, it is all automated. But the retail section has siloed data so there is a lot of work going on now to make that easy to understand and easy to report on. That is where a lot of the focus would be going forward. 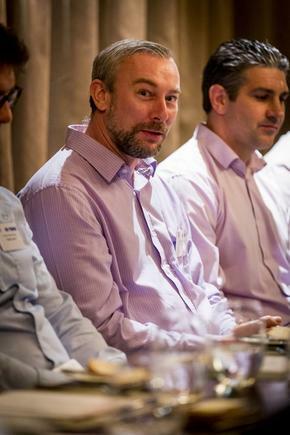 Andries van der Westhuizen, Candor Consulting: I am working on two initiatives in the construction industry in Auckland. The main issue they have is, can we trust this structured data? Because, a lot of the time people have captured what is supposed to be structured data - but in an unstructured way. The famous way is by using spreadsheets. They add that into the structured data, but they can not trust it. With the unstructured data, it is not the size or the growth that is the main challenge. It is, how can we better collaborate and share information without everybody duplicating their own stuff? 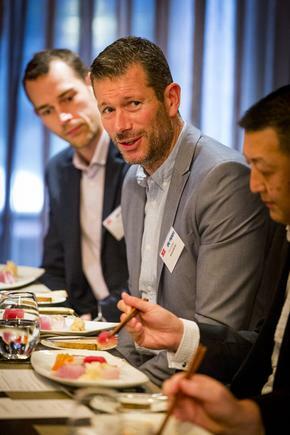 Doug Wilson, CIO, New Zealand AA: We run a number of different types of businesses, so you can imagine how much data we have got. The data we have been getting from our loyalty programme, AA Smart Fuel, tracks a large percentage of retail petrol purchases in New Zealand at the moment. So there is a lot of data associated with that. The major thing we have done in the past couple of years is moving our corporate data warehouse into the cloud and then using it for a lot of data analytics. We found it is now possible to set up a decent data warehouse for about a tenth of what it would have cost five or 10 years ago. We are also about to move most of our web to the cloud. We now send out up to seven million personalised emails a month. I hope we have not been annoying you, because the science behind minimises the number of times we annoy you. Bernard Seeto, IAG New Zealand: As an insurance company we are looking at data from a philosophical perspective. What I mean is when we have data, we always try to capture it. If we can put it in a data warehouse, we can do something with it. Unfortunately most of the time when you have done a data warehouse project, by the time you have set it all up, you have the right structure and you get the right reports; typically people who use the data warehouse suddenly find they that is not what they want anymore. The point here is data is something that is always fluid, it will evolve as a part of your organisation, it will change its shape. So how do we capture it differently? Rather than try to wrestle with it, why not accept that and think of how you would do it in a different way? We have data scientists in our midst. They love the data, they like it raw and don’t like it manipulated. They want to take it the way it is and apply the intelligence. For me, that is where artificial intelligence and machine learning play an important role. How can we potentially use machine learning to learn about the data, apply those changes and therefore look at data in a different way - rather than clean it up all the time? Data is always fluid, it will evolve as a part of your organisation...So how do we capture it differently? Rather than try to wrestle with it, why not accept that and think of how you would do it in a different way? Matthew Dalton, Yellow New Zealand: We have an interesting business. Our history is printing phone books and we have the biggest company database in New Zealand that we [make available] for the New Zealand public via online search. Our biggest focus from our data point of view is continuously refreshing company data to ensure its relevance. Glen Willoughby, Downer: We operate in 30 countries, with 20,000 staff and very different streams of business from the roading and development, which is a mature business. We have projects in the order of $300 million per project and we have a services business that is installation and maintenance of telecom, power and gas and water care services. The real challenge for me is around data relevance. What is useful, which would you want to discard. And, picking up from various comments around the table, the machine learning space is an untapped opportunity, which we will develop quite shortly. We will try to make sense, in an automated way, how can we use the information? We are taking very much an evolutionary approach on our data in fast, simpler terms and having BI and data management for our business to choose how they want to use it. 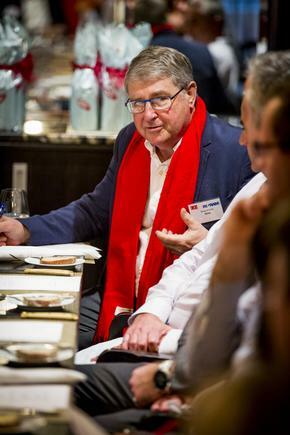 Campbell Such, Bidvest: We’re a food service business. We’re like a supermarket on wheels for the foodservice industry. We have a really simple business, but it is high transaction. So we have lots and lots of transactional data, the structured data. But in the unstructured data space, we see huge opportunities around the data that comes out of social platforms, Internet of Things and other web platforms. It’s hard to put all of this information in our current database. There is a huge opportunity for us down the path of making use of unstructured data. Barry Whyte, IBM: Everybody is on the same boat, with the mountains of data and what actual useful information are they getting from that data. That is where IBM is going with IBM Watson. We are trying to get that reliable set of source information. There is no such thing as a stupid question. But you need to narrow it down, what are the questions we should be asking? Doug Wilson, New Zealand AA: One of the things I find interesting is not the signature on paper, but the voice contract that takes place between a call person and the person who takes out the insurance. We record it, we hang on to it and all of those statements made are recorded and indexed. There is no paper involved. 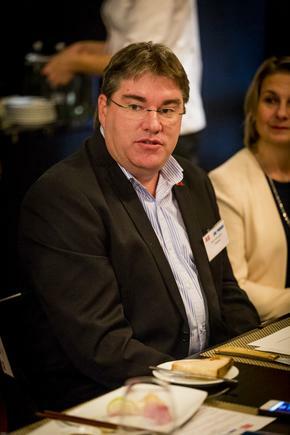 Matthew Cocker, Freightways: It is the same in telcos when I worked there. You record the voice and that is the contract. These recording need to be stored long term, so you need more and more storage or ways to keep what needs to be kept to the absolute minimum. It absolutely drives the business cases for storage. Machine learning capabilities allow you to apply real time voice analytics on top of those recordings. Doing it manually is impossible. Some of the commercials around voice analytics do not make sense yet. But as those come down [in price] and we use cloud machine learning for real time analytics, you will only store what you need. Angus Armstrong, Flight Centre: The thing about paper forms is how much of our data still needs to be signed on paper. I think digital signatures are key in getting rid of those paper forms. Applications like Kofax [content management system], which reads the information and puts it into a database is quite key as well. But then, you just get more information and storage. Certainly, cognitive computing is a big one for us. We are in a unique position where we understand a lot of what our customers are doing, because they are booking everything with us. We have an itinerary of what they have got, so using that information better is definitely important to us. Michael Lasham, Ingram Micro: We are seeing more and more demand for solutions that move beyond standard BI, looking for value from data both inside of the data warehouse, across the enterprise as well as external data – giving deep actionable insights. These insights are only possible with machine learning, and cognitive computing. 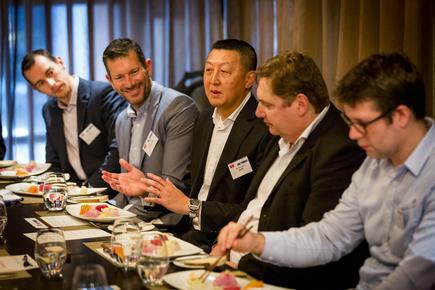 Bernard Seeto, IAG New Zealand: One of the biggest aspects was how we used digital from a self-service perspective. That makes a huge difference in being able to allow our consumers to do straight through processing. It is a key benefit to them. It is important to show the benefit to the key person you are encouraging to go electronic. The digital and data strategy is the same. You have to get it up and running, and building it continuously. 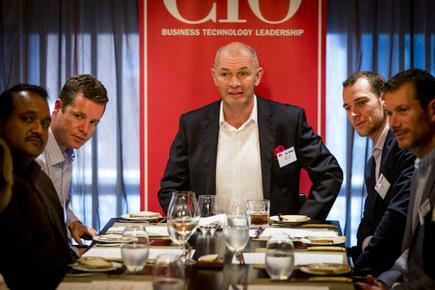 Tom Cotter, Mediaworks: I have an emerging type of role where CIO and Chief Product Officer is merging. This role means you are working on transmission networks, studios, cameras and sets, all the way to digital apps, data and analytics. The vision is to bring the organisation to the fingertips of the consumer - to the mobile phone. For Mediaworks, the digital and data strategy is the same. You have to get it up and running, and building it continuously. Matthew Cocker, Freightways: In Estonia, people are required to have digital IDs. Pretty much all interactions with government are now paperless. In New Zealand we are so paranoid about data privacy and data sharing between government agencies, we may have fallen behind. And the New Zealand digital ID has not had much impact, except maybe for enabling renewing your passport. Bernard Seeto, IAG New Zealand: Cyber insurance never existed before at IAG. All of a sudden, there is a desire for people to think of it. That is a new industry sector we are going into. The way we price insurance, we look at the history. 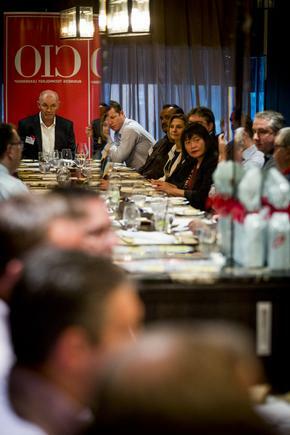 There is limited history [around cyber insurance] in New Zealand. So we have tapped into global networks and history, at the same time as assembling a very strong local underwriting team. We are making a really thoughtful move strategically [using data]. I think over time, if you share anything out there [Internet], it is all fair game. Richard Raj, Frucor: We are progressing well into our digital transformation journey. We are putting a lot of effort in better understanding our consumers and customers. We distribute our products through our customers and our consumers buy off them, hence our customers act as our intermediaries. I think that one of the big challenges digital and big data can help solve, is how to disrupt behaviour at the point of impulse. Some of our business is from point of impulse. You feel thirsty, you go to a shop to buy a drink. And that is one of the hard ones to solve - we have some ideas around that with the use of digital technology and big data. Traditionally a sales person would have a gut feel and talk to his peers and come up with a proposition. They will collect data in a month and then make some predictions. We can use analytics now. For example, you can proposition a shop owner if they are near the railway station by comparing 50 other stores selling the same products near railway stations. Based on analytics, if your shop is near the rail station, these kinds of products/price mix will sell better. That is how we can improve the business of our distributors. As we get more and more into the consumer space, we will find that there is a lot more unstructured data. Traditionally if we needed to do the sentiment analysis, someone would have to check all the websites, and all the statements line by line to check and see how things are going. With sentiment analysis engines, you can just search keywords and get the sentiments very quickly. Smart sensors have made their way through, they can be “self-aware” and we can apply this to many areas, like chillers or vending machines. We need to experiment with opportunities in this throughout New Zealand. Next, well there may be on demand delivery by driverless trucks – but that’s sometime away. It’s mind blowing how easy that information can be used for social engineering to gain access to an organisation or to steal your identity. 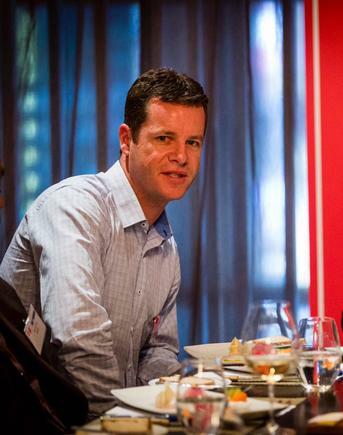 Campbell Such, Bidvest: We all give data willingly to Facebook, Google Twitter and LinkedIn. It is amazing. You can find a number of services that collect all the stuff you share on the internet. It’s mind blowing how easy that information can be used for social engineering to gain access to an organisation or to steal your identity. Andries van der Westhuizen, Candor Consulting: On Facebook, I keep on seeing that my son and friends have been supporting (‘liking’) certain organisations. When I asked them about it, what we discovered all the friends see you as supporting [these organisations] but it never appears in your profile. They target all your friends with your name and you don’t even know about it. How ethical is that? I asked my friends if they liked a certain organisation as the Facebook feeds say, but they said they liked it a year ago, but it is still going on the feeds. Grant Wardle, ‎Metlifecare: There is a big difference between what insights you can get from data and what insights you should get. I think a good litmus test for this, is how comfortable would you be telling your customers about what you are doing with their data. Richard Raj, Frucor: I think more people will opt in if you ask them upfront, whether they realise the implications fully. Usually more users opt in for the benefits they can see. Our biggest focus from our data point of view is continuously refreshing company data to ensure its relevance. Matthew Cocker, Freightways: I have heard of a courier company in Europe, which has purchased a service from a telco that they can use to tell if a customer’s cell phone is at the delivery address. So if you are delivering a package and you can detect the customer is not at home, you can text the customer where they would you like the package delivered. New Zealand does not allow this type of service. But I have read that in the US, telcos are now trying to commercialise the data from their cellphone towers and customer data usage. 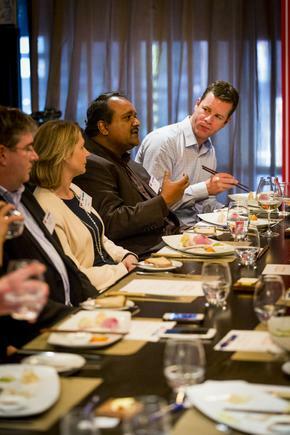 Are the ethics discussions keeping pace with the rate of data analytics commercialisation? I know some of the things that marketers do with cookies and the data on those cookies must be close to the ethnical edge. What are the ethical problems on using data this way? That is something that is not addressed enough, at least in New Zealand. … When you connect to that free wireless in public spaces, you are basically giving them free access to analyse how you are using the network. A retailer can then target the store's offers directly to you, a questionable trade-off unless the provider is upfront about it. That is the challenge. There is a lot we can do with that data, but ethically does the consumer understand what they are giving away? I refuse to have one of those [loyalty cards] because I don’t want businesses analysing my purchases. I put the advert blockers on my browsers. I run browser sessions incognito. I actually allowed Google to track my phone because I really like to predict the traffic, how long is it going to take me [to get to a place]. That is a trade-off I have accepted. Doug Wilson, New Zealand AA: From my observation, boards are taking a lot more interest in this now. The privacy and storing data in the right way is a much more considered thought and in order to get some sort of insurance, you have to have quite clear policies and disclosures on your websites. Barry Whyte, IBM: Imagine a shopping mall, looking at targeting advertisements as you walk into the mall. The words on the digital signs will change as you walk through based on bluetooth and wifi. They are targeting what you were looking at in the shopping mall and they will have advertisements specifically for you. They are taking the Google advertising thing to a new extreme. A good litmus test for this is how comfortable would you be telling your customers about what you are doing with their data. This data is available. But obviously if you have not signed up and said 'I have given you permission to track [your every move], they are unable to use it. The data protection act in the UK says you can't share or pass on information unless the customer actually ticks ‘yes’, it is a ‘no’ by default. With the millennials, you have to surgically remove the phone from their hand. They are used to it and are happy to share everything. 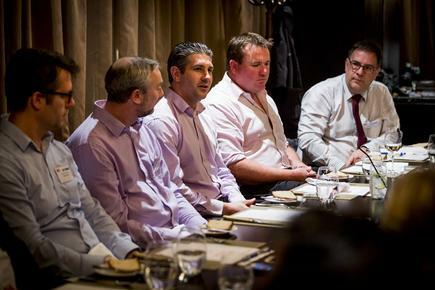 The CIO New Zealand roundtable discussion on ‘the new imperatives for data management’ was held in conjunction with IBM and Ingram Micro New Zealand.